First, I sat down with her at the piano. Then, I helped her set timers to practice. It went well at first. Until, she enrolled in dance. Her face lit up whenever she thought of dance. She actually made me take her 30 minutes early to her first lesson because she couldn’t contain her excitement. We had dance. Then, school. Then, piano. Add to that a newborn baby brother and things got a little hectic around our house. I wanted to pull my hair out just strapping and unstrapping my son from his carseat from all the places we drove. Honestly, it felt like we didn’t have a spare second – caught between dance lessons, piano lessons, school – oh, and did I mention swim lessons? And this was just for one child! What would my life become when my son was old enough for all this? Why do we schedule so much? In my case, I felt the need to do it all. We have a pool in our backyard, so I needed her to able to swim. Not just doggy paddle, but swim proficiently. My husband is pretty amazing at piano. He wanted her to play. I wanted her to play because of my own piano practice experience. And with dance… she loved it and I didn’t want to take that away. So, do we just have to live with this kind of packed schedule? No way. Here’s how to whiddle it down and gain a much saner life. We feel that she needs it to be safe/ prepared? Or, that everyone else is enrolling their child and we feel pressure to keep up? In other words, we want them to have the best opportunities and get into the best schools that we tend to start manufacturing their lives from a young age. Each activity becomes an item on a to-do list to be completed and checked off. 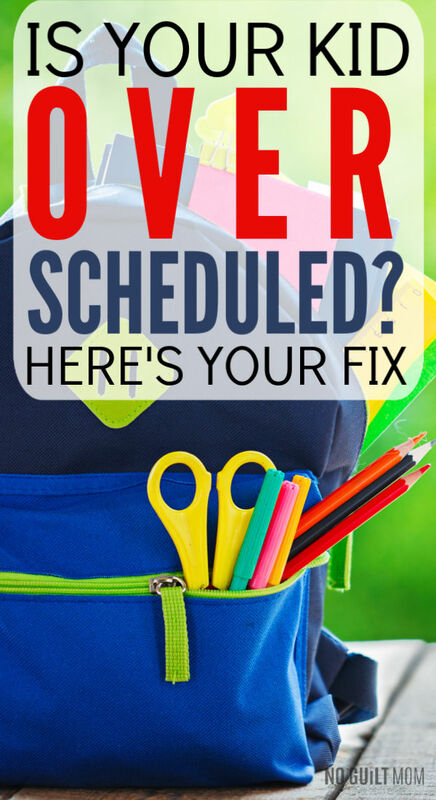 As a result, our kids become overscheduled and we become stressed out of our minds. What does our child want to do? Ultimately, I realized that our schedule wasn’t benefitting anyone. Never having a second for your brain to decompress makes it physically impossible to gain new info. I realized that I could only handle my daughter doing ONE activity per week. At first, she had a hard time making a decision because she was so concerned about what WE wanted her to do. Would we be mad if she dropped piano? Would she miss out on something if she quit and regret it? I wish I could say this was an easy decision, but it actually took 6 months until our family arrived at an answer. No joke. Little by little, we broke down each activity. In the case of swimming, she could swim the length of the pool on her own. Since, this met my goal of swim lessons in the first place, there was no need to keep going. Piano, however, that was a tough one. Actually, her instructor decided to cut down on the lessons she gave each week – focusing only on the older students – and dropped her. With that text, I breathed a sigh of relief. That’s when I fully understood the stress these lessons put on our family. My daughter never wanted to practice and it felt like a constant struggle every day. Now, she does dance every Tuesday and Thursday, and while she is nine now and takes 5 hours of classes – rarely do I have to encourage her to practice and go to class. Every night, she’s doing handstands in front of the couch to perfect a back walkover. Each performance, she’s a bundle of energy. 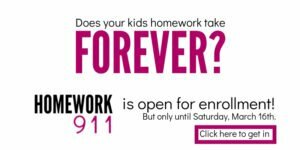 While 5 hours of classes might seem overscheduled for many families, the fact that she does them in chunks only two days a week is the huge difference. And that she’s completely self-motivated. Start by taking a hard look at the activities that your kids are in and assessing the reasons why they are in them. Then, figure out what your child actually love. Once your restrict activities to just that, you’ll find your stress load decrease and have a happier family overall. The best mom is a happy mom. Do what works for you.